Have you heard about the all-new series DreamWorks Trollhunters? It’s premiering on Netflix December 23rd, and my kiddos are already clamoring to see it. It looks like it’ll be the perfect way to keep the kids busy this holiday season. 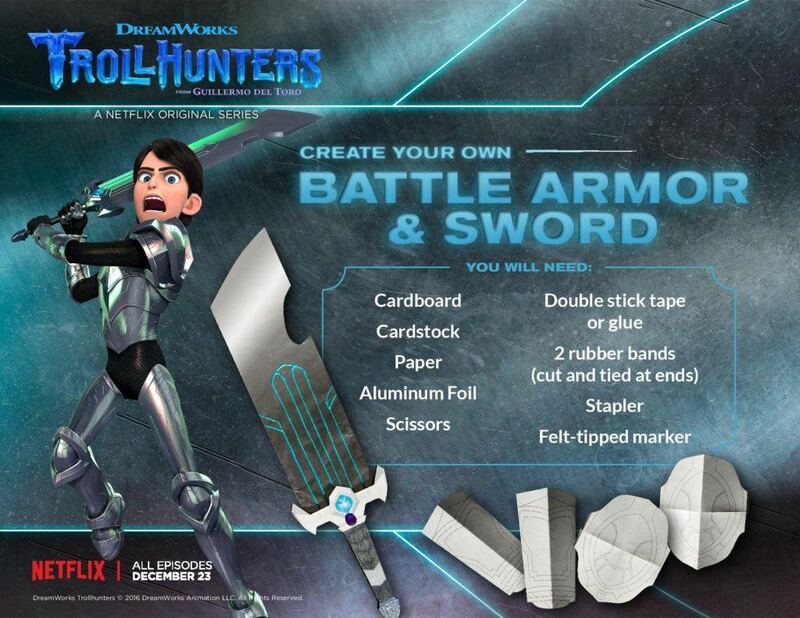 So, to celebrate, we’re sharing a fantastic DIY sword and armour how-to guide perfect for the Trollhunters in your life. Tip! Don’t forget to check out our Trollhunter’s rock candy recipe! To get the instructions, you’ll need to download the PDF. 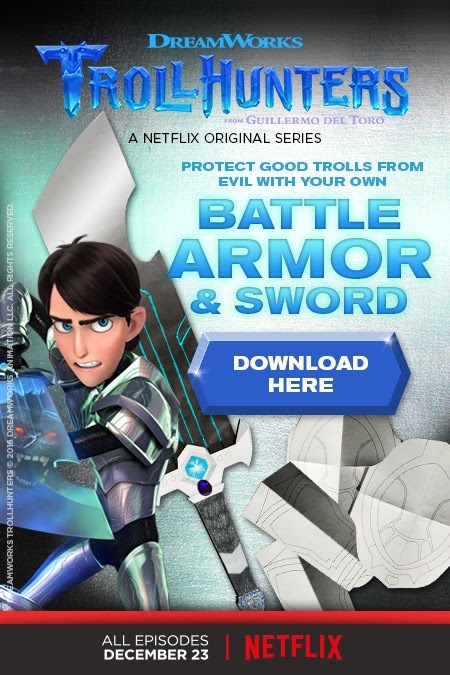 Luckily, that’s easy – just Click here to get a free printable PDF download of the Trollhunters battle armour and sword.